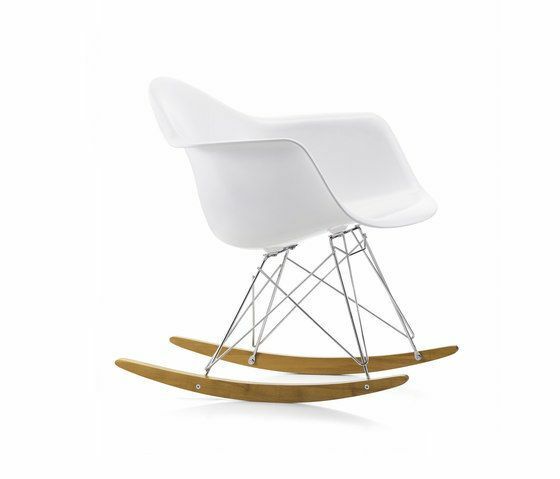 Today the Plastic Chairs number among the most well-known designs by Charles and Ray Eames. One model has always stood out among the myriad combinations of organically shaped shells and various bases in this large family of chairs: the iconic RAR (Rocking Armchair Rod Base). The compact rocking chair mounted on wooden runners adds a self-assured accent to any environment.